By providing your first name and email address, you will be added to our list of upcoming events, workshops and study tours. Your privacy is respected. We never share your name and address with others. 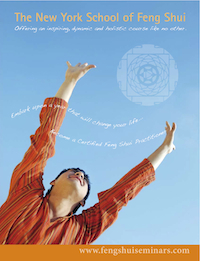 You will receive updates from Feng Shui Seminars on practitioner trainings, retreats, conferences and study tours. Plus updates from Academy of Sacred Geometry, Academy of Healing Nutrition and the Breakthru-Technologies.